Thomas Gold , Swedish House Mafia, Sandro Silva, Jack Miz, Bimbo Jones and Alexis Mixail. 1 hour mixed show, minimal speech only to announce weblinks. Latest Electro house, most not yet released at time of mix. 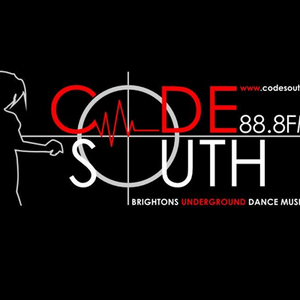 Code South is an underground dance music radio station based in my home town of Brighton. A popular show with many listeners - Fatboy slim recently guested. Just like and click the buttons!